This event is a long-standing tradition with Colorado Springs military and national defense industry communities. We will once again present the Hartinger Award honoring a significant contributor to the US military space mission. We will also present our Patriot Awards honoring military members from Air Force Space Command, US Northern Command/NORAD, the Air Force Academy, Fort Carson, and Army Space and Missile Defense Command/Army Forces Strategic Command. 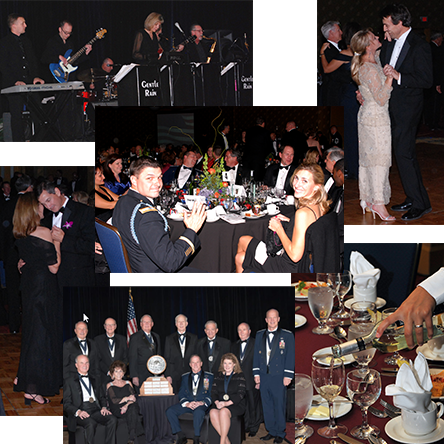 NDIA Ball attendees must be 21 years or older. Two seats at a table for ten with four-seat give-back. Recognition verbally during Rocky Mountain Ball opening remarks. Recognition in Ball printed program – logo and summary on the small business page. Link and a 100-word summary of your business on RMC web site sponsor page. Option to purchase tables at $1900 each. If a table is purchased, you may purchase VIP Seats (2 max). Please purchase VIP Seats at the time of table purchase.